Jaclyn Deteskey is a Fontbonne Junior who began her service by giving back to her grade school/parish- St. Anselm's. She volunteered at swim practice, helped with their Winter Wonderland and baseball clinics. 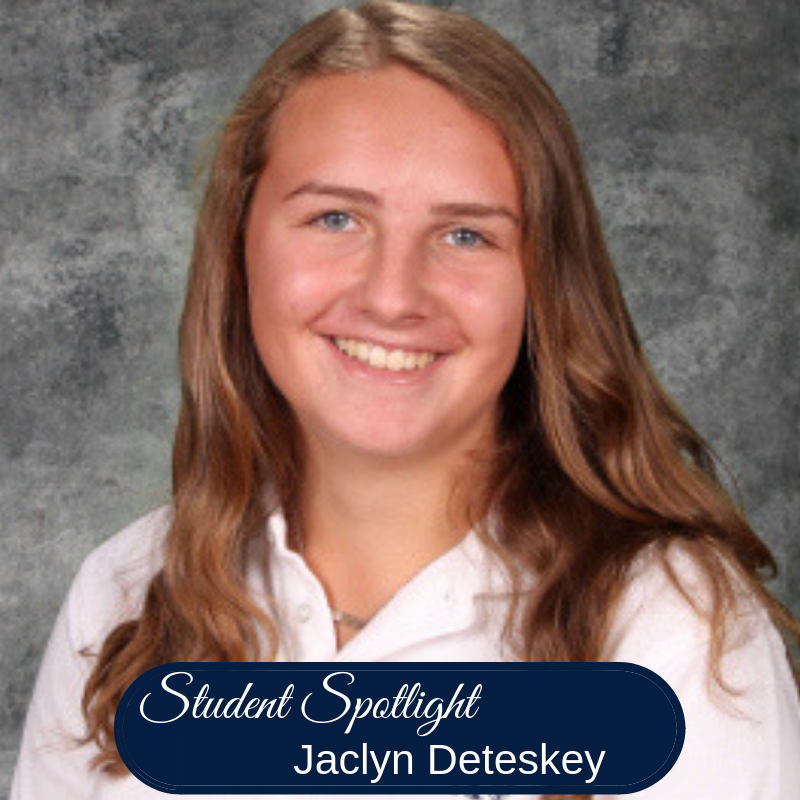 Jaclyn is a Fontbonne Junior who began her service by giving back to her grade school/parish- St. Anselm's. She volunteered at swim practice, helped with their Winter Wonderland and baseball clinics. Last year, Jaclyn founded and became the president of FHA Against Cancer. FHA Against Cancer has held a Halloween Fundraiser, an Ugly Christmas Sweater Dress Down Day, a book drive for Maimonides Medical Center and wrote get well letters and notes of encouragement to pediatric patients at Maimonides Medical Center. Most recently, they participated in the T.E.A.L. Walk which celebrates ovarian cancer survivors. Currently, Jaclyn is spearheading the Volley For A Cure Breast Cancer Event and the second annual Halloween Fundraiser for St Jude's. She is also developing ideas to benefit St.Jude's - a canning event at local stores during the Christmas shopping season and penny wars leading up to Sports Night. Jaclyn began this club because "unfortunately, almost everyone knows someone who has or has had cancer. I hope that my service, even if it is only in a small way, can help find a cure for this horrible disease. Through this club I have gained a greater appreciation for how fortunate I am to be healthy."